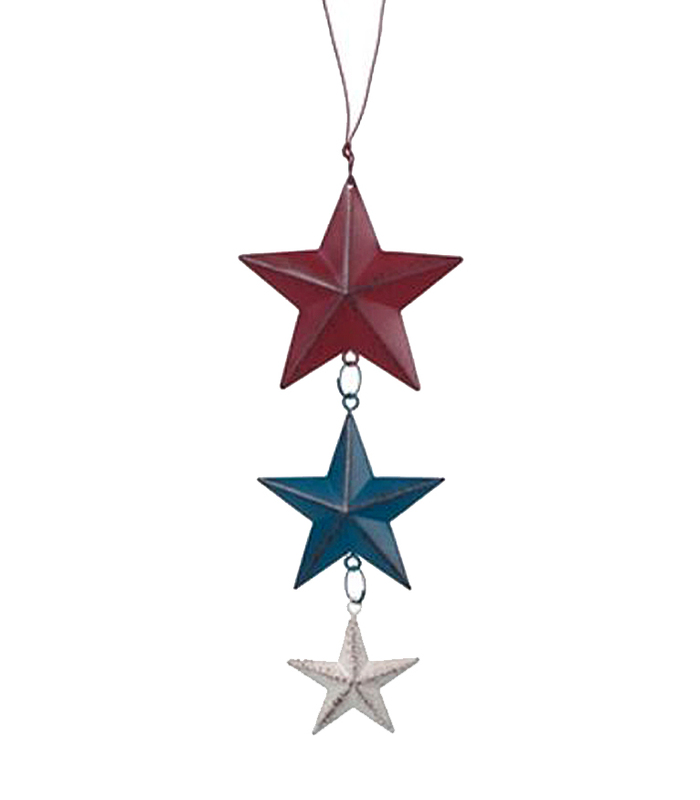 Fun 3 star dangle ornament for your cowboy Christmas tree as well as Americana themed decor. Great ornament to use all year long in wreaths or for holiday and party decor. Comes on wire hang loop. Fun 3 star dangle ornament for your cowboy Christmas tree as well as Americana themed decor. Great ornament to use all year long in wreaths or for holiday and party decor. Comes on wire hang loop.